Community foundations and their geographic affiliates (a fund at a community foundation with a specific geographic focus and board of advisers) can be an extremely valuable resource in rural places where government and non-profit networks are thinner and where the agencies that do exist often play a very limited role in advancing family economic success. While on the surface it may seem that a community foundation’s primary role in advancing family economic success would be through making grants to local nonprofits, in fact, community foundations have a range of tools in their toolbox – beyond money – that can help lead to substantial and sustained success for hardworking rural families. Create and lead coalitions to tackle critical issues faced by rural families. Take West Central Initiative in Minnesota or the Arizona Community Foundation which have each convened a range of public and private partners to analyze the barriers that are keeping rural families in poverty from getting ahead, identified gaps in local services that address those barriers, and developed strategies and partnerships to fill the gaps. Run programs that help rural families Earn it, Keep It, Grow It. In Barry County, Michigan, the Barry Community Foundation (BCF) – when there was no one else to do it – established a Volunteer Income Tax Assistance (VITA) program to help working families file their taxes and get much-needed refunds through the Earned Income Tax and Child Tax Credits. In addition, BCF recently started working with local donors and community organizations to establish a Children’s Savings Account for every child who “graduates” from kindergarten – and BCF is catalyzing opportunities to add more community deposits to family deposits in those accounts as the children reach certain benchmark milestones or provide service to the community. Forge consensus to help stabilize rural families. In its One Napa Valley Initiative, The Napa Valley Community Foundation researched and documented the positive economic contribution of its low-income immigrant population to the region’s economy, which led them to engage support and partnerships that have helped a greater number of Napa’s legal permanent residents become citizens in Napa County – a change in status that correlates with higher family income, higher educational attainment for their children, and more active engagement in community affairs. 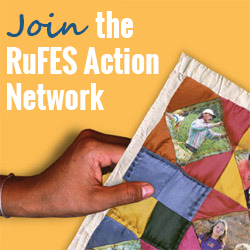 Advocate for policy changes that positively affect rural children and families. In recent years, the Greater Dubuque Community Foundation and its partners worked with the City of Dubuque to draft policies for post-foster care housing, eventually leading to legislation passed by the City Council to give youth preference points when they aged out of foster care. When youth have stable housing, they’re more able to focus on earning, keeping and growing critical income and assets. And that’s just a tiny sample of the many innovative strategies community foundations are using to help rural families get ahead. There are stories from across the country of community foundations investing multiple forms of capital in rural education, workforce development, affordable housing development and loans, asset-building and more. Want to learn more about how to partner with community foundations to improve outcomes for hardworking rural families? Contact your local community foundation and invite them to join you on March 16-17 in Washington, DC, at Advancing Economic Success – Community Foundations Advancing Family, Community and Regional Prosperity. This two-day peer exchange workshop provides an opportunity for community foundations to more deeply explore and share how they are addressing critical community issues and working to advance regional development that builds wealth for all. If a representative from your community foundation is unable to attend, look for stories and resources at RuFES.org following the event. Click here to join us at the Advancing Economic Success conference in March! If you’re new to the community foundation world, there are more than 800 free-standing community foundations dotted across the United States – and they host thousands of geographic affiliates as well. Check out the Community Foundation Locator to find community foundations in your state. The Community Foundation Atlas offers some quick facts about the field and may have additional information about the community foundation nearest you. Grow It Action Idea: If there’s not a community foundation fund or endowment serving your region, then consider setting one up! Foundations can and should do more to serve rural communities.